This morning was the most productive by far. Even though we ended up without any good shots of the leopards or the bear, we managed to get some avian and primate pictures that went some way towards reducing the disappointment. However, the chance to see these magnificent animals up close in their natural habitat was worth a thousand pictures. 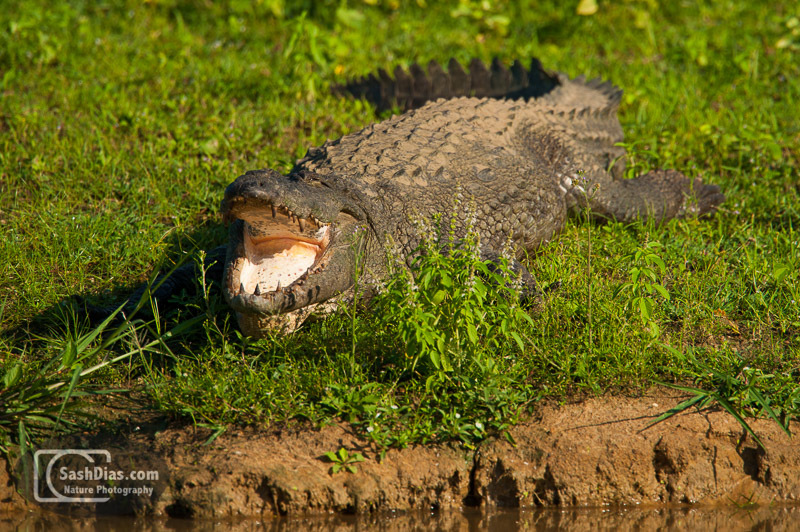 Yala National Park is a fickle mistress, and perhaps she'll see fit to reward us next time for our patience. Until then, au revoir to one of the most beautiful places in Southeast Asia! The afternoon turned out to be much better in terms of sightings, if not photo opportunities. We saw a leopard in a tree, maybe 70 yards away from the trail. 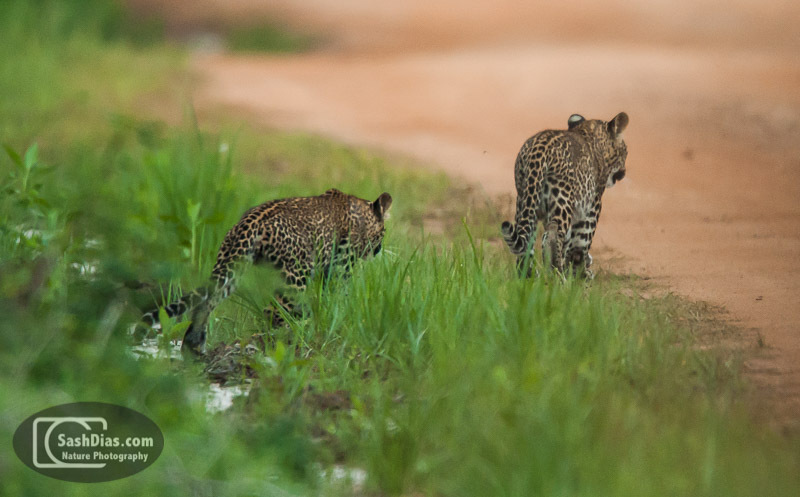 The second sighting was much more exciting, being a female leopard and her two cubs. Once again, unruly safari jeeps turned a front row seat to the leopard family crossing the trail into a pristine view of the rears of a dozen safari jeeps. Using the reach of the 400mm+2x TC, I managed to get some very average images between some vehicles. Having taken the moral high road of not trying to race towards the leopards to get the best shots, we returned empty handed yet again. Our last drive in the early morning turned out to be the best. It was a little before 6am and we encountered a leopard in our headlights, perhaps 20 feet away from the front of the car. A few seconds later, it was gone. 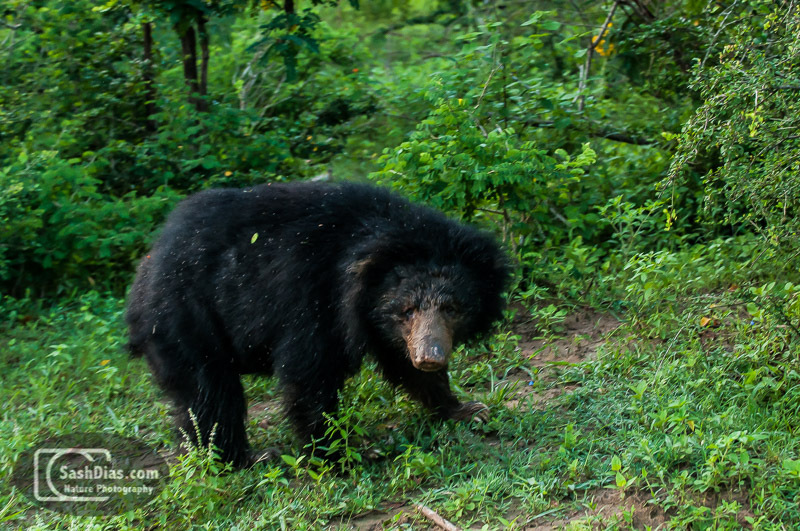 A half hour later, we encountered a sloth bear. The only shot I got of the full bear was while the jeep was still moving, and left a little to be desired in terms of sharpness. The bear then proceeded to snuffle into an ant-hole for a few minutes, offering us great shots of everything but its head, before ambling off into the forest! Deciding to leave the scene of the Leopard sighting to come back later when there was less 'traffic', we drove a few hundred yards up the road and encountered two jackals. 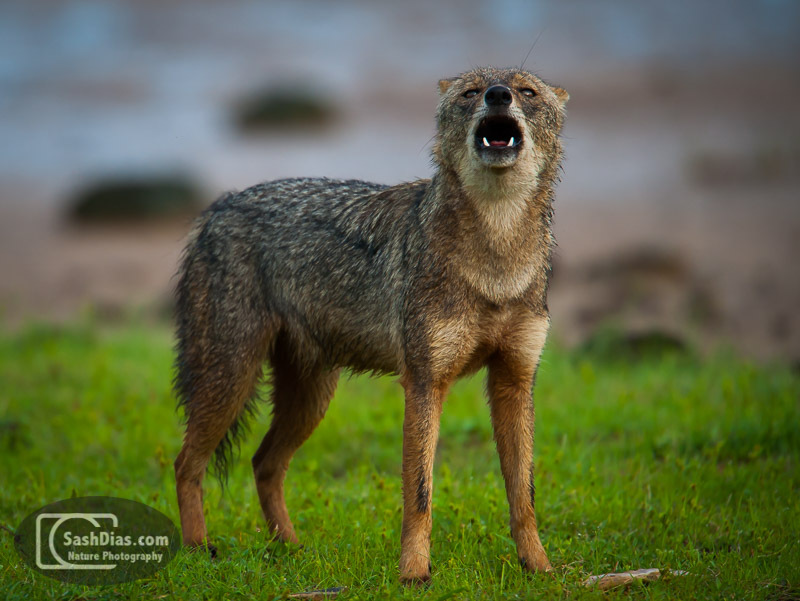 They trotted around, rolled in dung, scent marked the area, and finished off the performance with a bout of howling. I managed to use the 400mm lens with the 2x teleconverter to get off some good shots, with ISO 800 good for around 1/500th sec. 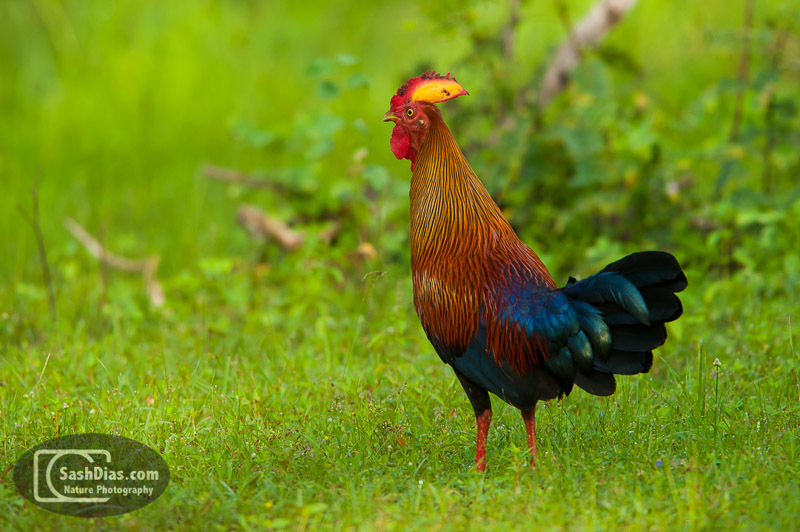 Located on the tropical island of Sri Lanka, the Yala National Park was formally declared a national park in 1938. 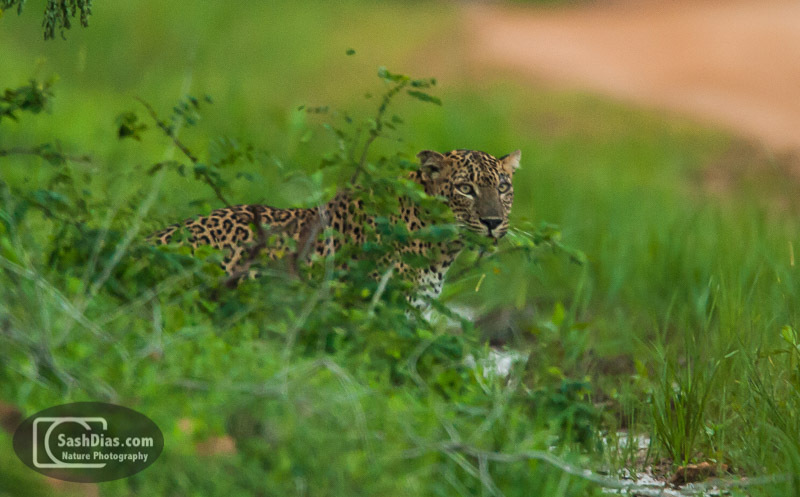 Home to diverse variety of flora and fauna, the high point of any visit to the national park is a sighting of the rare Sri Lankan Leopard (Panthera Pardus Kotiya). Our trip lasted two nights, which gave us time for four safaris or game drives. As the best time for viewing wildlife occurs right after dawn and just before dusk, this meant waking up at 5:15am each morning to ensure we were dressed, geared up and at the park entrance by 5:45am, and again cutting short our afternoon siestas to be at the park by 4pm. Our safari driver was the unassuming but single minded Janaka. Single minded in his pursuit of ensuring we saw the elusive leopard to the detriment of seeing any other kind of fauna in the park! Yala is a mix of dense scrub, trees and the occasional grassy plain. 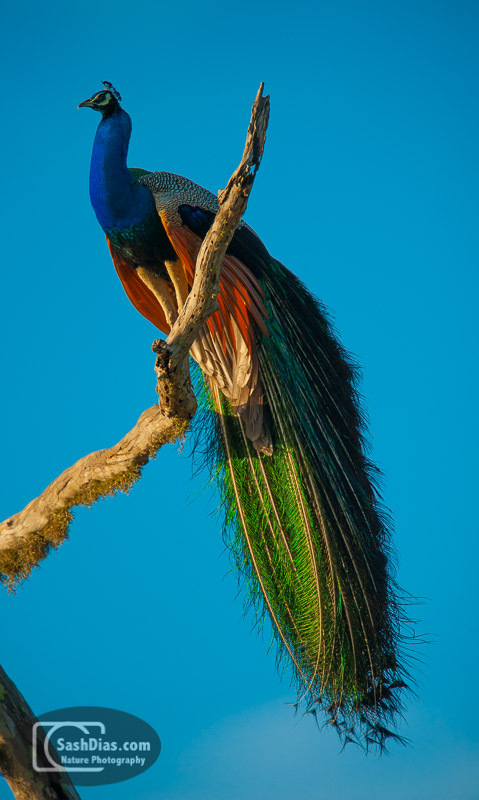 During four game drives, we saw a total of six leopards (four adults, two cubs), elephants, sloth bears, crocodiles, junglefowl, kites, bee-eaters and other assorted birds. 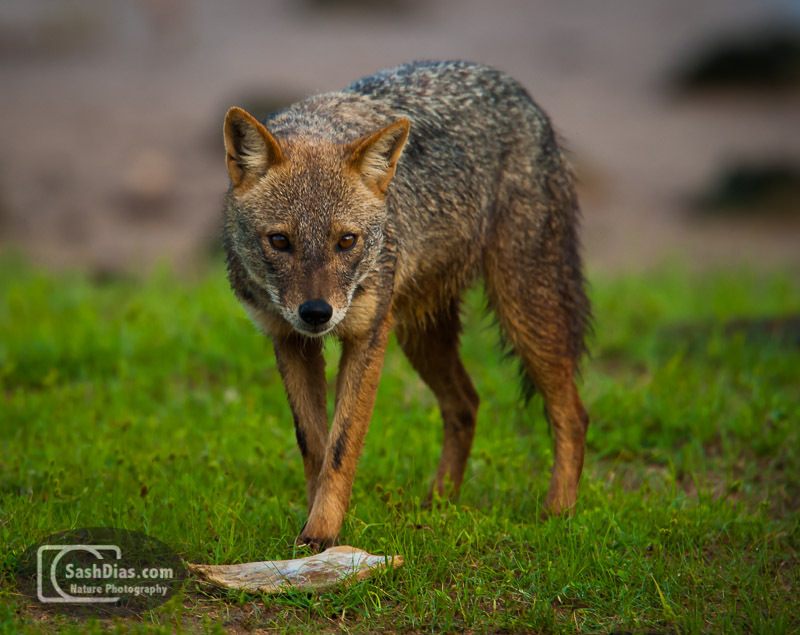 Though the wet conditions usually result in a lower number of wildlife sightings, this was not the case on our safaris. 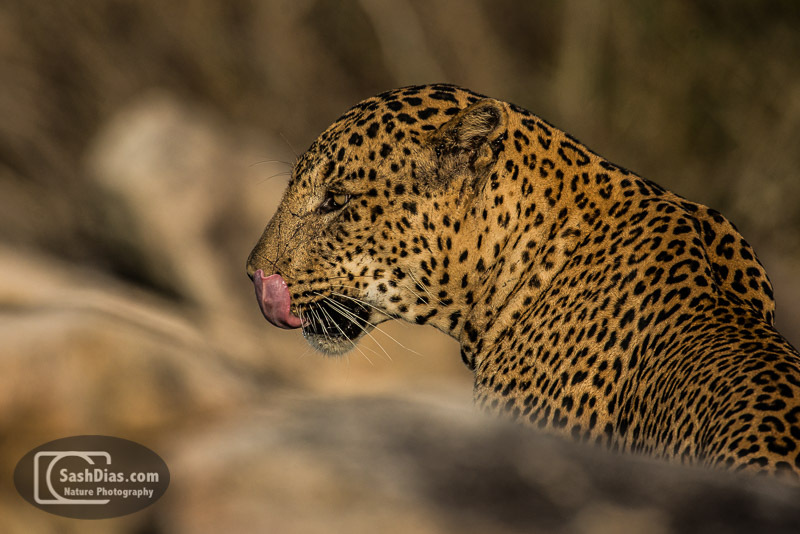 Our first sighting was of a leopard around 40 feet from a road in the national park. 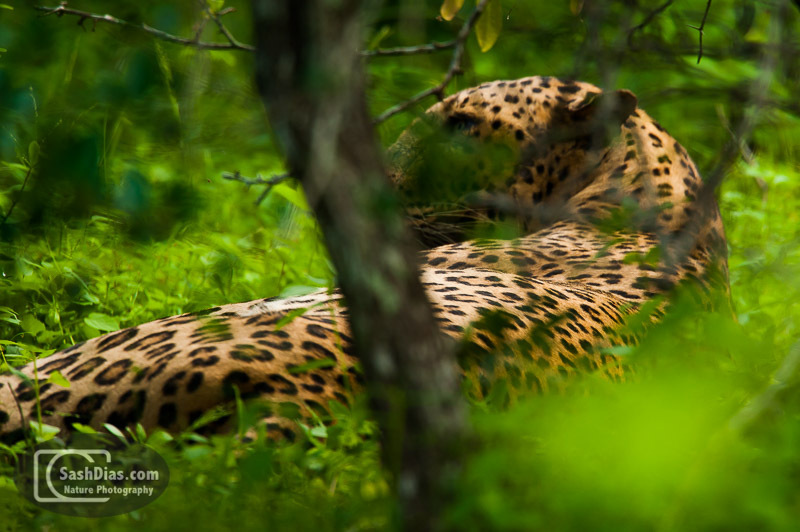 The leopard seemed to be a large male, and was enjoying an afternoon nap. The undergrowth was making a decent image impossible, so we waited for the leopard to move. Unfortunately, around twenty or more safari jeeps soon materialized, turning the scene into a viewing frenzy.